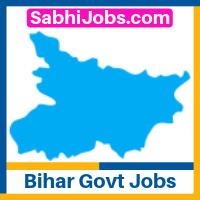 Latest Bihar Govt Jobs 2019-20 notification: Candidates searching for govt jobs in Bihar for 12th pass, 10th, ITI, graduation or Diploma @ gov.bih.nic.in can check all live vacancies will get complete information here on this page. If you wanted to start your career with Government Jobs in Bihar 2019 (बिहार सरकारी नौकरी) then you are at right place as here on this page you will get all current and upcoming Bihar Government Jobs information. Aspirants looking for any kind of jobs opening can note this page and subscribe our website to receive free Bihar Govt Jobs 2019 alert. Please check the all available posts from below list. Job seeker looking for upcoming Bihar jobs 2019-20 to plan and prepare for government job notification to start their career, can get complete information related to forthcoming vacancies. We have listed all upcoming govt exams details Also, aspirants who are looking for any particular Bihar government jobs organization’s post can bookmark this webpage. Once you do that, you can check all Upcoming Sarkari Naukri in Bihar on this page any time with just one click to see all upcoming job alerts as soon as it gets released.